Be sure to see our main printing and copying page here. 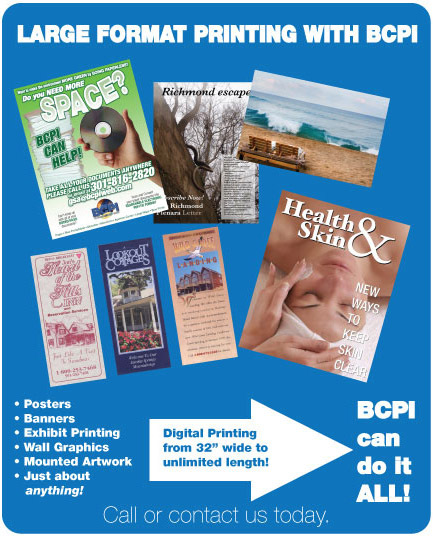 BCPI has full color printing that can be as large as 32 inches wide and as long as you want! Banners, posters, advertising and exhibit printing are all possible with BCPI.